Sell your SANTANA items on eBay ! This album's artwork might be a bit misleading, with its Hindu/Buddhist imagery, because there are no Indian music or much eastern influence, musically. I did say "musically" because the album contains spiritually some very positive music, Santana being about good times and overall hapiness right from their hippy roots in the 60's San Fran. Let's just say that I am not sure Carlos would see eye to eye with Present's Roger Trigaux, but one never knows. So aside this rather kitsch artwork, this album is one typical album from the group, providing at least two extensively-aired on radio tracks, namely Dance Sister Dance and Europa. Right from the opening track, you know you are in for another typical 70's ride, hovering between Latino rock, fusion and semi-space jazz-rock with good vibrations that the Beach Boys could not even imagine possible. Yes, this music might just seem a little lightweight if you don't listen to it carefully. No this music is anything but positive (except lyrically and spiritually). Just listening to Take Me With You or DSD can only forget your partner's little cheats for a while (she's probably out with Carlos anyway ;- ). But as with any Santana album, there are some slightly weaker material (Let Me, Tell Me You're Tired) , but Santana's filler tracks would be highlights on many other artistes discographies. 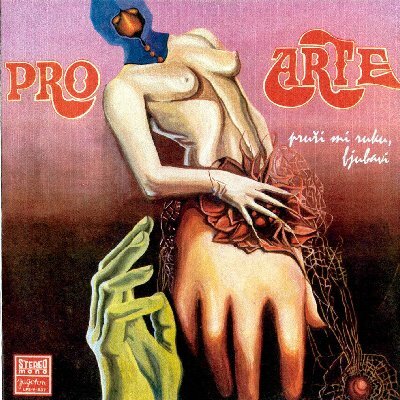 Yet, some real gems appear with the full-fusion of latino jazz-funk gitano, mixing Flamenco with a Salsa-Bossa jazz. Great stuff, especially knowing that I generally do not appreciate Carribean music, but only santana manages it. Hats Off To Carlos. Of course the "hits" (over 5 minutes for a hit is a little magical, but Carlos was a bit of that was he not?) 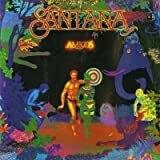 such as Europa (still getting much airplay 30 years later) can only give you a sense of fulfillingness and Santana's guitar solos are still as majestic as ever. Not that the album is particularly good in retrospect with his full career, Carlos being just content on having the group in cruise control in that succesful path he had managed to stear his machine. Yet giving any less than 3.5 stars to any of his mid to late-70's albums just seems to be out of question. But again, owe it to Carlos's positive psychology to account for such good ratings while I am not particularly fond of Latino- Caribbean influences. 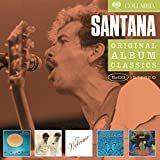 Very good and probably the last "classic" SANTANA studio album worth attention. 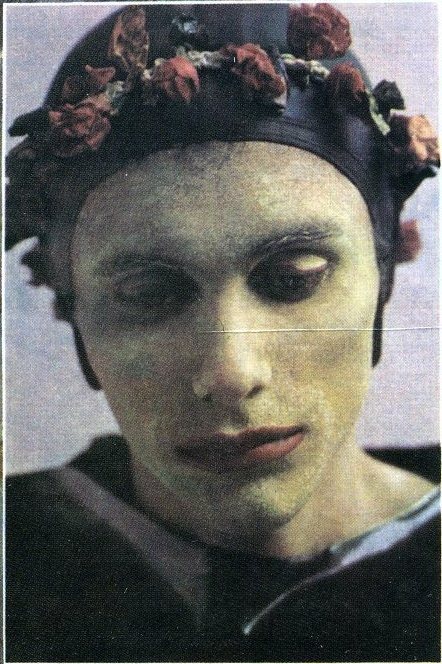 Includes two mega-sellers "Dance Sister Dance" and "Europa", but in addition to these, the whole album is strong in musical and spiritual development. Excellent mix of Latino, rock, jazz and soul, "Amigos" is highly enjoyable record. The last studio album showed a kind of return to the Latin-rock influences (with some funky mix though). With "Amigos" the origins will be explored again (although there is a more commercial aproach here than before). Unfortunately, the funky mood will also remain. From the very first notes of "Dance, Sister Dance" it seems that we are going back to the early seventies and that's very fine with me (but the opener for "Festival" was also of that type and a bit misleading as far as the rest of the album was concerned) : good Latin rythm full of percussions and good (but short) guitar breaks. Great bass work from Davis Brown. Percussions are great of course with "Chepito" and Armando (although Mike is gone), Carlos as usual, good backing vocals, and celestial keyboards from Tom Coster. An incredible rythm throughou this song. A highlight. "Take Me With You" reminds me of "Incident At Neshabur" from Abraxas. The keys here are gorgeous and the rythm is of the best Santana vein. The tempo is the same : crazy in its first half and quiter towards the finish. So far, this album is a very good surprise. "Let Me" is jazzy/funk song of which I am not quite found. "Gitano" as its title suggests (gypsy) has a flamenco flavour. Rythm is great but Spanish lyrics are rather weak : "Vengo de tierra lejana, Con mi guitarra en la mano" (I'm coming from far away, with a guitar in my hand) "Tengo notas de cariño, Para todos mis hermanos" (I have some tender notes, for all my brothers) Although lyrics were never the strong side of Santana, we are not reaching heaven here ...Since I guess that a lot of fans donot really care about the "message" of Santana lyrics, this won't hurt too much I guess. "Tell Me, Are You Tired," is a soul / funky tune which won't be remembered for long. That's for sure. It is the second very weak number here. We have another appointment with the highest emotion with the following number. I guess everybody knows "Europa". It's the fifth declination of "Samba Pa' Ti". Superb guitar work of course : slow intro and then a fantastic and rageous guitar to finish : this is the same struture / mood than one can find in the mother song. It is of course a very commercial track, but I like it very much (even thirty years later). I can only say that, to my ears, they can produce one (or two) of this type on every single album : I will never complain. "Let It Shine" starts like "Shaft" from Issac Hayes. Unfortunately, the song turns into a kind of dreadful gospel / funky tune. The best goes along with the worse on this album. Three stars. 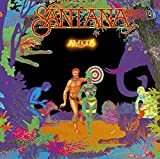 Amigos is another satisfying Santana record, although many would consider Caravanserai as Santana's last great album since after that album, Gregg Rolie, main organist and singer of the original Santana band, left to form Journey together with guitarist Neal Schon. While the loss of Gregg definitely affected the quality of the music, Santana together with keyboardist Tom Coster still managed to release some great material, mainly in Borboletta, Moonflower and on this record. Being 1976 you should have figured out that a guy like Santana would incorporate some mainstream music from the time, in this case it's funk, a genre which I love when added to rock music. This is clearly heard on the tunes Let Me, Tell Me You Are Tired and Let it Shine. They're pretty straight-forward, but I like it that way in this case, I mean, if you're fond of Stevie Wonder's classic Supersition, I doubt you'll have any issues with these groovy tunes. Then there are the tunes that are more reminiscent of Santana's original style, with the latin and jazz influences being prominent. The first one being the grabbing latin-esque Dance Sister Dance with new vocalist, Greg Walker, doing a decent job. Then you've got the instrumental Take Me With You which is like part 2 of Abraxas' stunnning instrumental, Incident at Neshabur, both have fantastic hammond organ playing as well as a splendid rhythm, even both finish in a very emotive way. Finally, there's the well-known, heart-ripping instrumental entitled Europa. Eric Clapton was once asked who was his favorite guitarist, he answered that ''for pure spirituality and emotion, Carlos Santana is #1'', well Europa is one very notable proof of this. Obviously, as you may have noticed, this is not in the heights of Abraxas nor Caravanserai, but still I recommend Amigos if you're a Santana fan or a fan of pleasant music with touches of jazz and funk. It's a very accessible and pleasant record all- through, with the sole exception of the out-of-place and mediocre, Gitano. 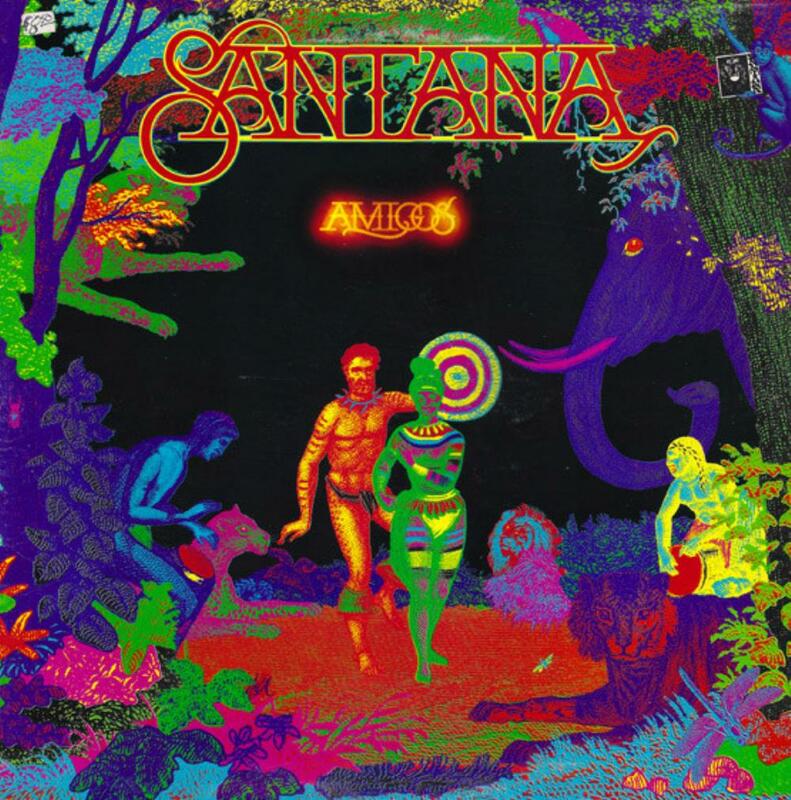 Amigos finds Santana well and truly locked into the commercial trajectory their music would take for a good long while. Playing jazzy disco-funk with occasionally infuriating lyrics (Let Me is particularly irritating on that front), the album is saved from being a complete waste by Carlos Santana's guitar heroics, which are extremely technically accomplished though, if I'm being honest, more than a little bland and generic this time around. Particularly sad is the lack of Flora Purim and Airto Moreira, whose contributions had been so helpful on Borboletta and Welcome. This has to be considered one for the Santana fanatics only, I fear. Carlos Santana, being much more a jazz fan than a jazz player, was bound to drop his jazz rock/fusion elements sooner or later. And in Amigos that happened. It seemed that he would go back to what he does best: a mix of latin music, rock and blues. But that was not to be. Granted, some of his best features are back: the percussion is upfront again, the instrumentals are simpler and rockier, and his guitar is more prominent than in his two previous albums. But most of the vocal tracks show his new found love (or commercial eye) for funk, soul and gospel. Interesting enough, some jazz masters did fell in love with the same style a few years before (like Herbie Hancock in his Headhunters period). The results here, however, are quite uneven. The record starts well with the latin beat of Dance Sister Dance (Baila Mi Hermana), a nice track, a bit repetitive at the beginning, but saved by the guitar solo on the fast second part. The frenetic beginning of Take Me With You reminds us of the good old times, with Tom Coster delivering a swirling Hammond organ solo that makes justice to the departed Gregg Rolie. The calmer second part is still good, but nothing special. Trouble starts with the fast funky Let Me: this track has nothing to do with Santana and the same can be said of Tell Me Are You Tired and the gospel/soul/funk ballad Let It shine ( the only single released from Amigos and a minor hit for the band). All three feature the same clavinet sound and black girl backing vocals. In fact, they could be easily be mistaken as several funk acts of the period, like Jimmy Castor or Sly and Family Stone . Not really bad, but clearly out of place here. The redemption part of the record is the classic Europa: one of Santana´s best instrumental tracks ever, it was not released as a single in USA but became a hit in several european countries at the time, and it would deservedly stay on the band´s repertoire to this day. There we can find all the magic we are to expect from such a great, talented bunch: simplicity, feeling and soul all put together with a tasteful performance of all involved. A real masterpiece. Gitano is interesting spanish/mexican mix: nice, but nothing special. The typical latin party track you hope to pop up in any Santana album. So, in the end Amigo is an album that is quite uneven: even if the funky numbers are not exactly bad per se, they do spoil the overall flow of the tracks and makes you think there are two bands, with two very different styles, playing on the same record. Like oil and water. They don´t mix. Rating: 4 stars for the instrumental tracks, 3 stars for Gitano and Dance Sister Dance, 2 stars at most for the funky tunes. 3 stars is a fair rating for this mixed bag . Barely. 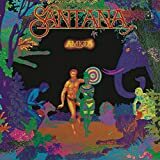 Post a review of SANTANA "Amigos"